Angel Yunier Remón Arzuaga "El Critico"
Marc Masferrer of the blog Uncommon Sense offers an update on the imprisoned activist and rapper known as "El Critico." 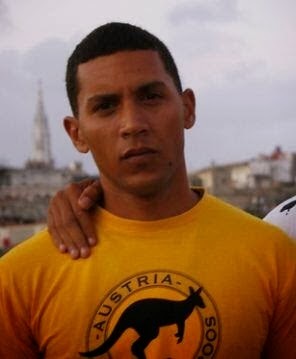 Every day he is held in a Cuban prison without getting his day in court -- even if it is a Castro court -- is a day of torture for political prisoner Angel Yunier Remon Arzuaga, the activist and rap singer known as "El Critico." It's just that some days are worse than others. For example, in a recent telephone call to the Hablemos Press news agency Remon described how 10 guards grabbed him from his cell, splashed his eyes with pepper spray, bound his arms and then forcibly shaved his face and cut his hair.